Braestrup (Here If You Need Me), a Unitarian Universalist minister who serves as chaplain to the Maine Warden Service, graciously escorts true prayer into real life. In her fourth book, Braestrup approaches prayer from 24 angles, including from the threshold, in mixed company, for enemies, before service, and with laughter. She presents prayers in lyrics or without words. She understands that prayers can be posture and presence but never formulaic: They need not be factual, but they must be true. Braestrups voice registers in a wide rangefrom scholarly to deliciously earthy (she declares God a noodge) to motherlyas she plaits a story strand about herself with a good hank of biblical exegesis, then finishes with personal ribbons, drawing material from her family (familiar from her memoir) and her friends in ministry and law enforcement. Some disquisitions, like the one on sleep, dull when compared to richer, exemplary narratives, such as her teasing chapter on hypocrisy. By often returning to her theme of empathy and consciousness, Braestrup remains a persuasive pastor, praying right through the amen. (Nov.) Copyright 2010 Reed Business Information. 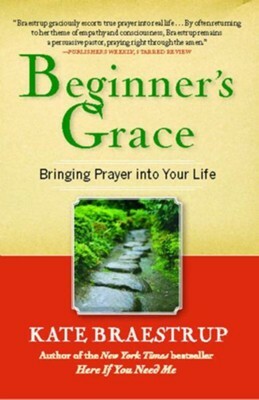 I'm the author/artist and I want to review Beginner's Grace: Bringing Prayer to Life - eBook.